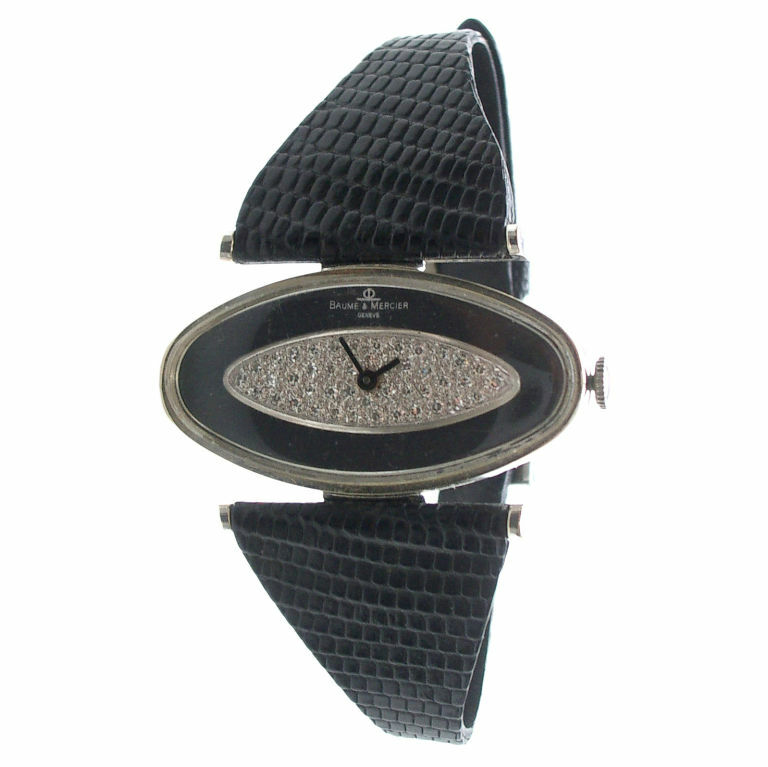 A Smart 14k white gold,diamond and Onyx watch by Baume and Mercier. 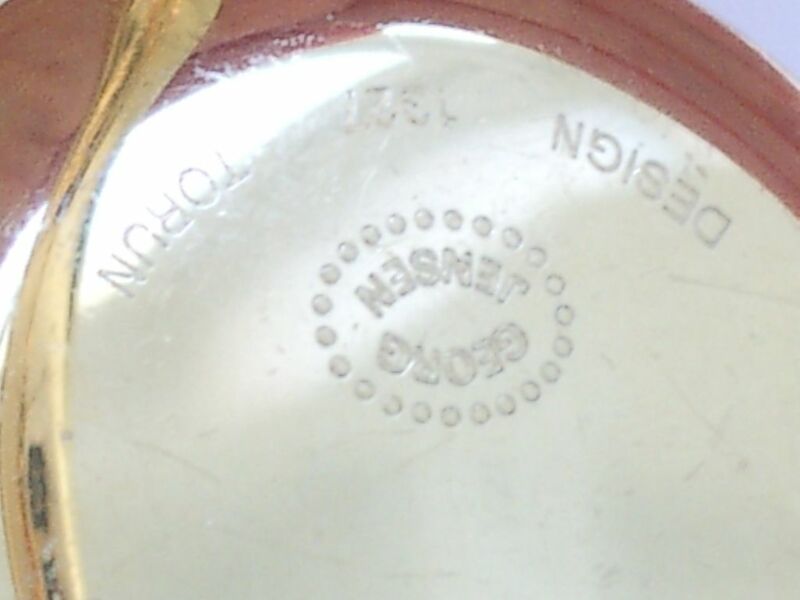 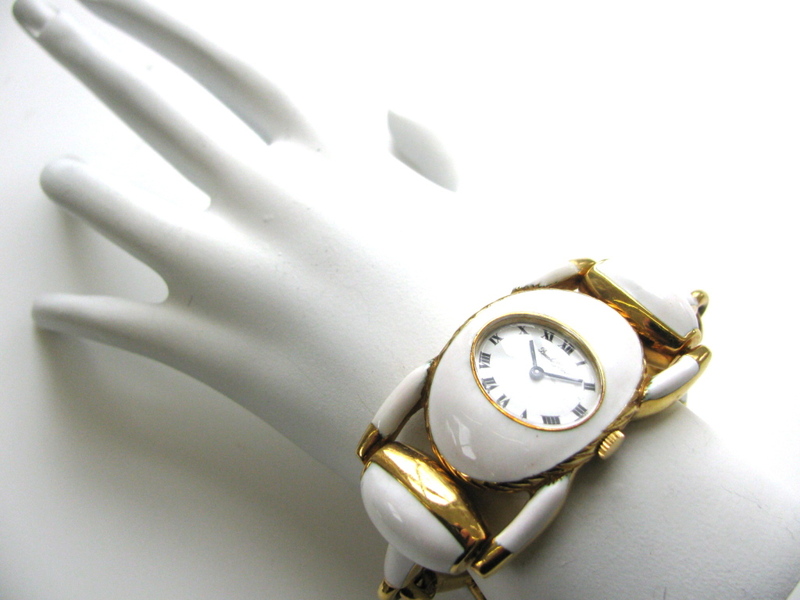 A stylish yellow gold and white enamel watch by Buche-Girod. 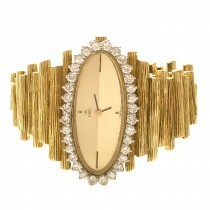 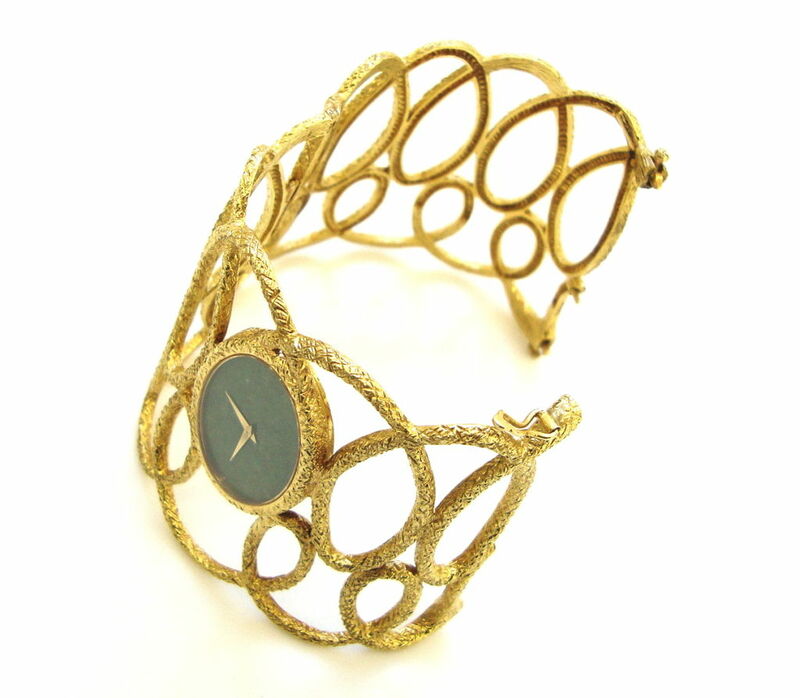 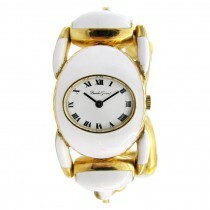 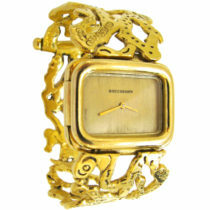 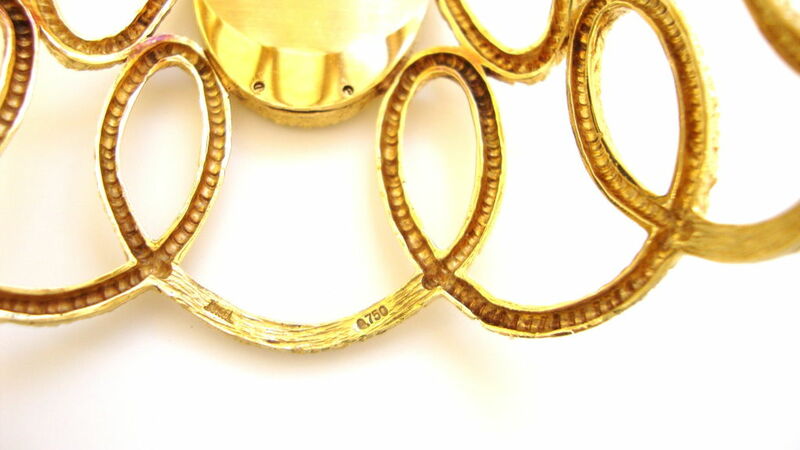 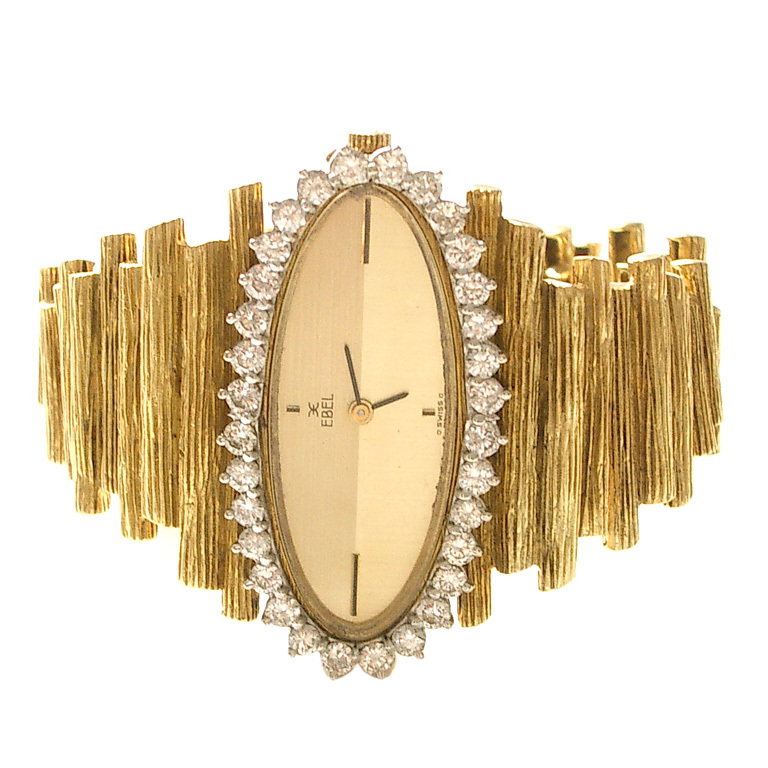 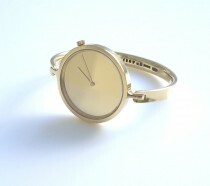 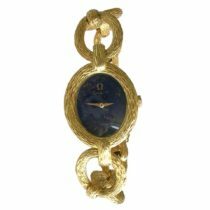 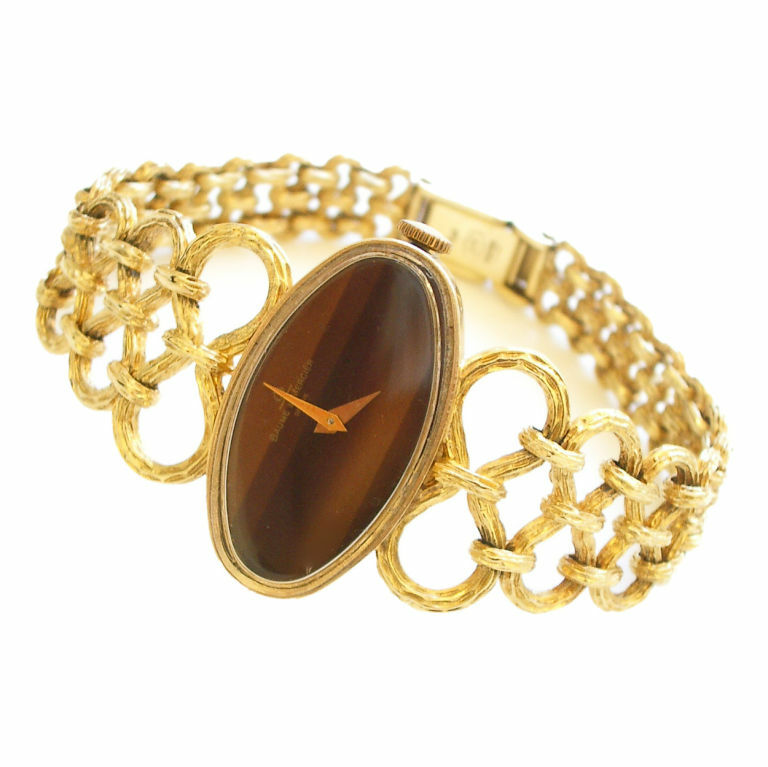 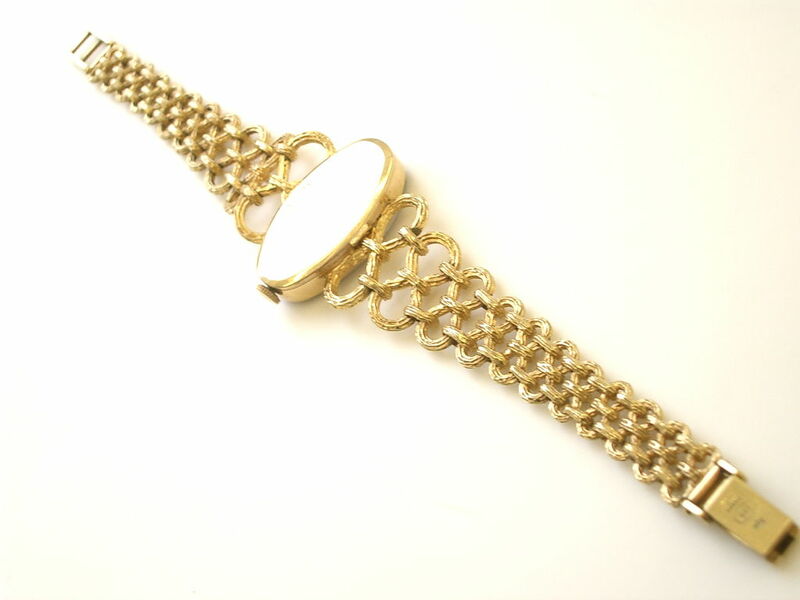 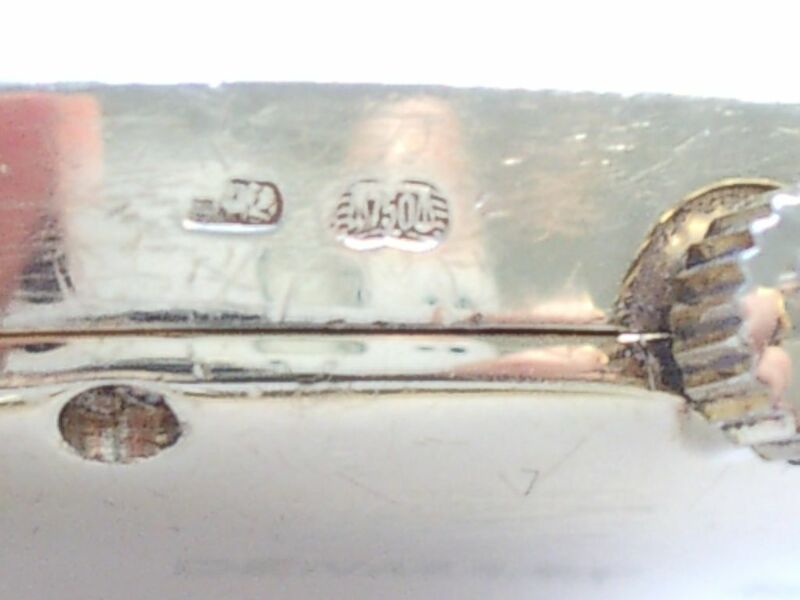 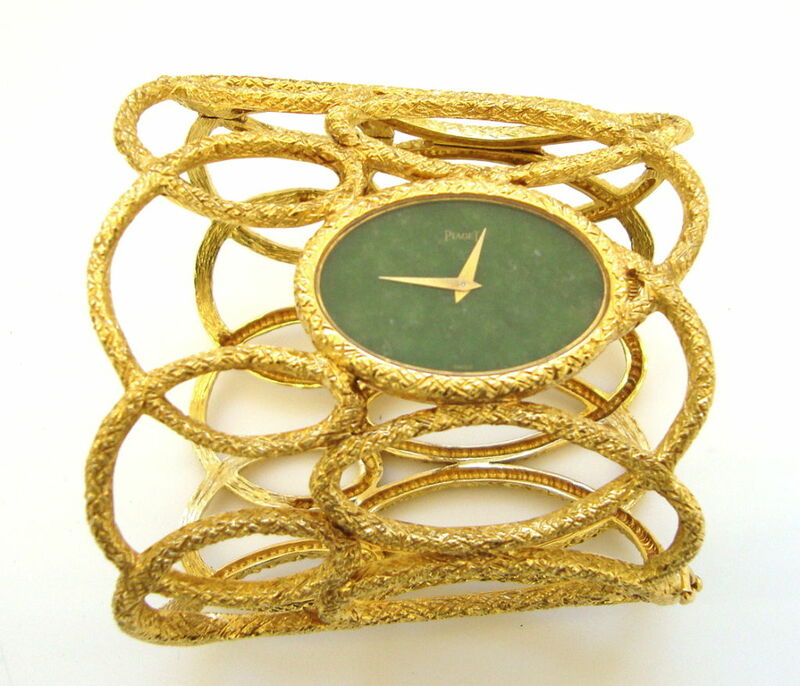 A stylish ladies 18k wristwatch by Ebel. 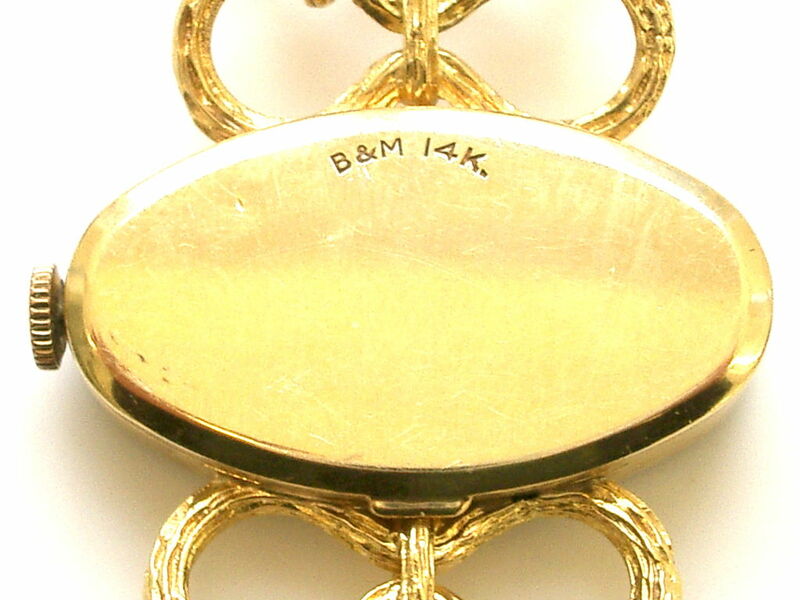 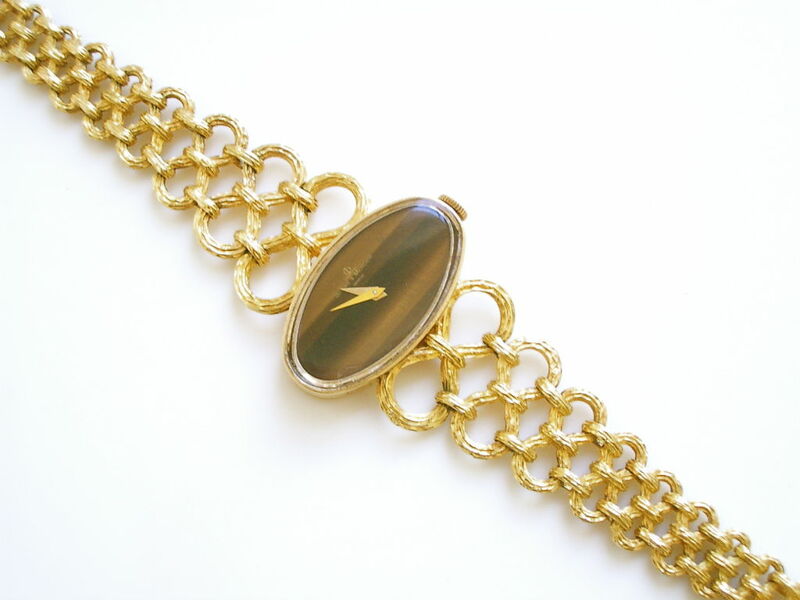 A stylish 14k yellow gold and tiger’s eye timepiece by Baume and Mercier. 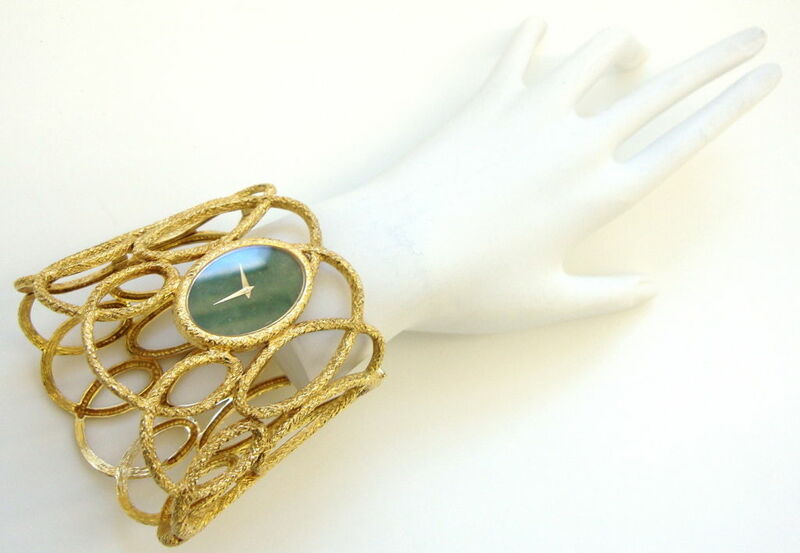 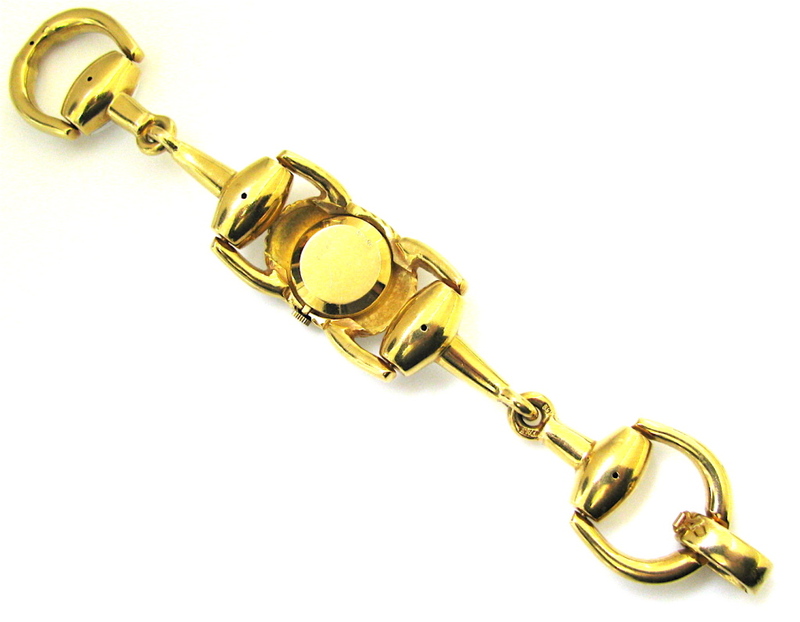 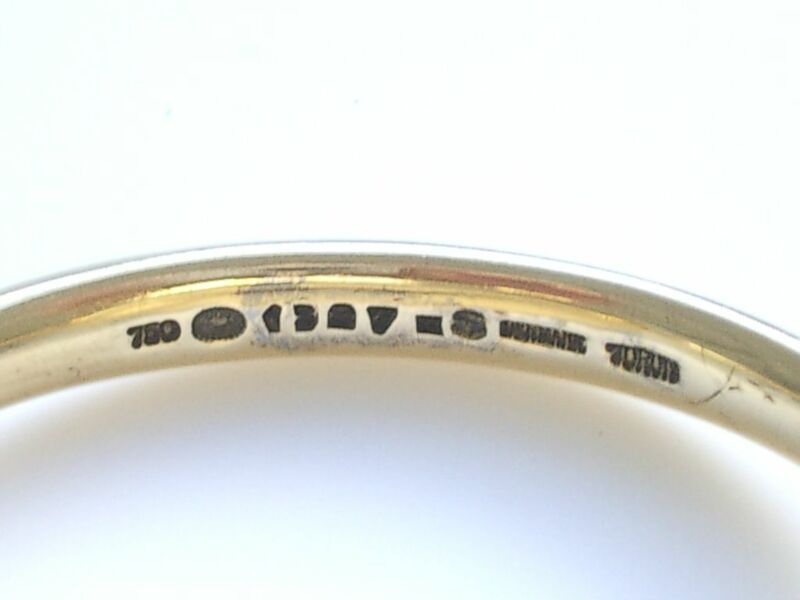 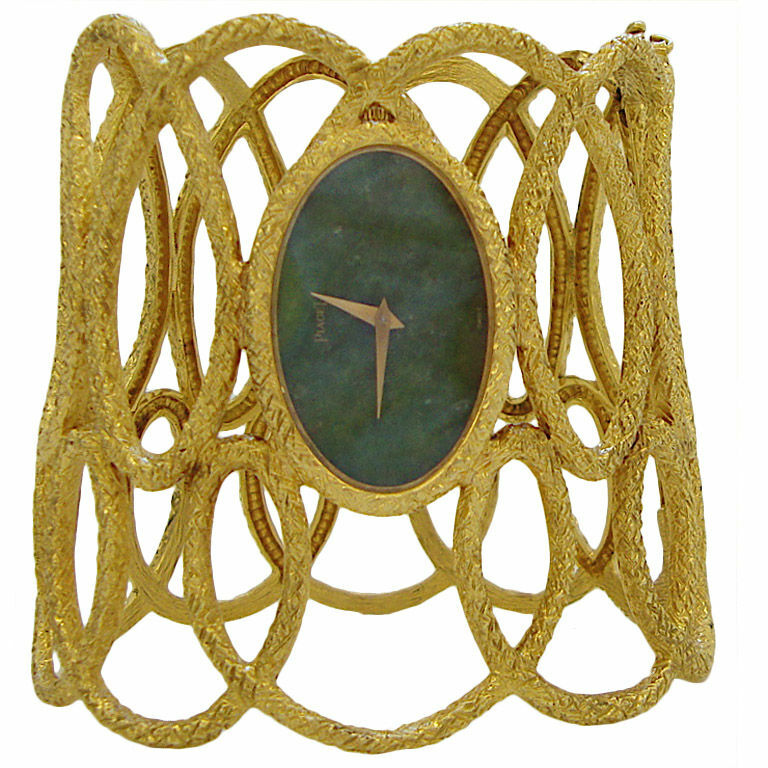 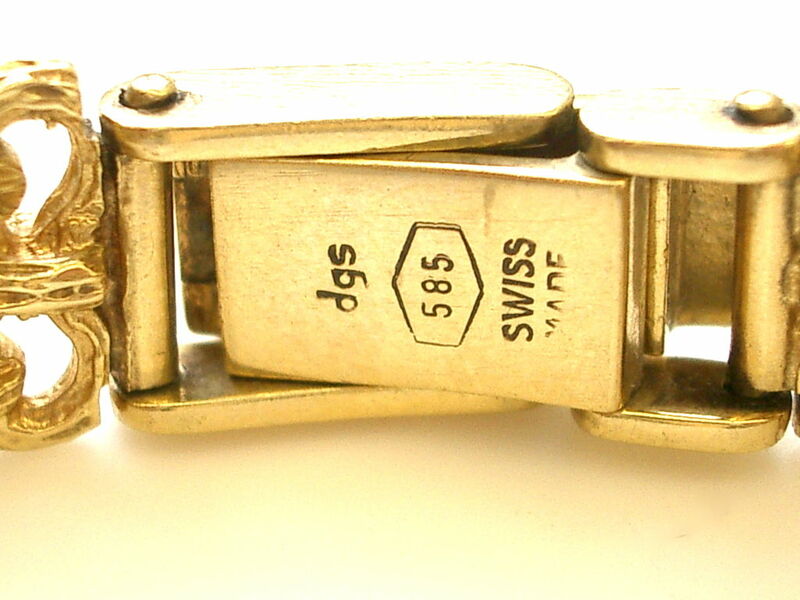 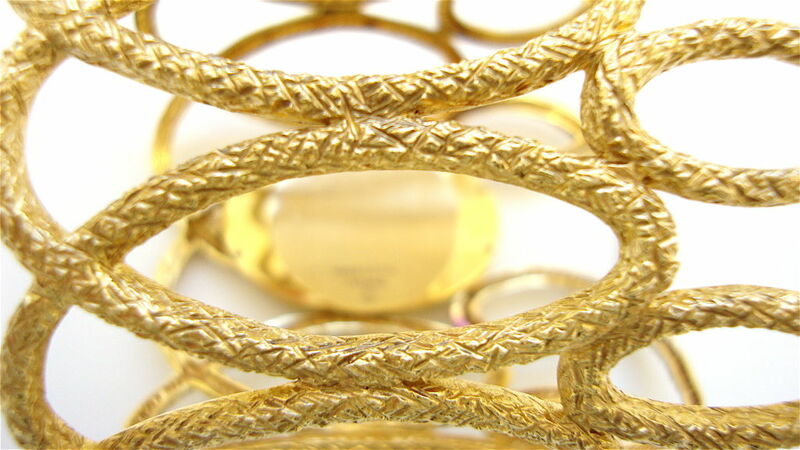 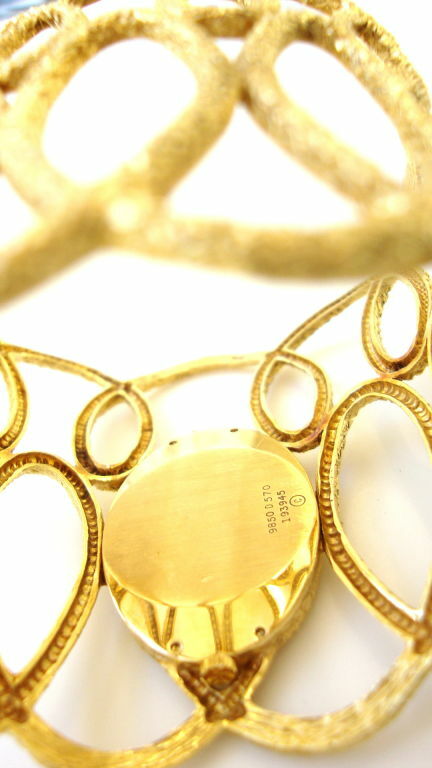 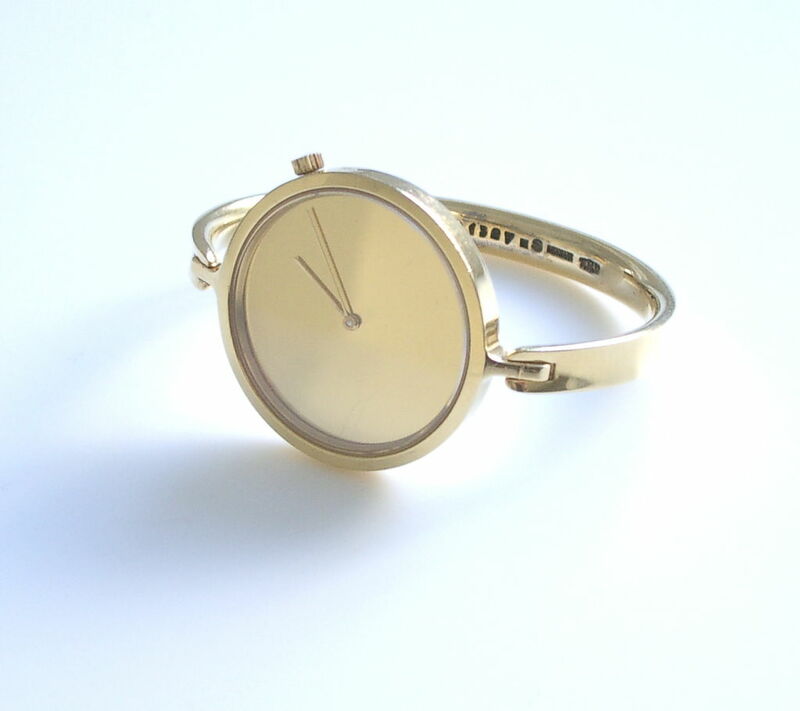 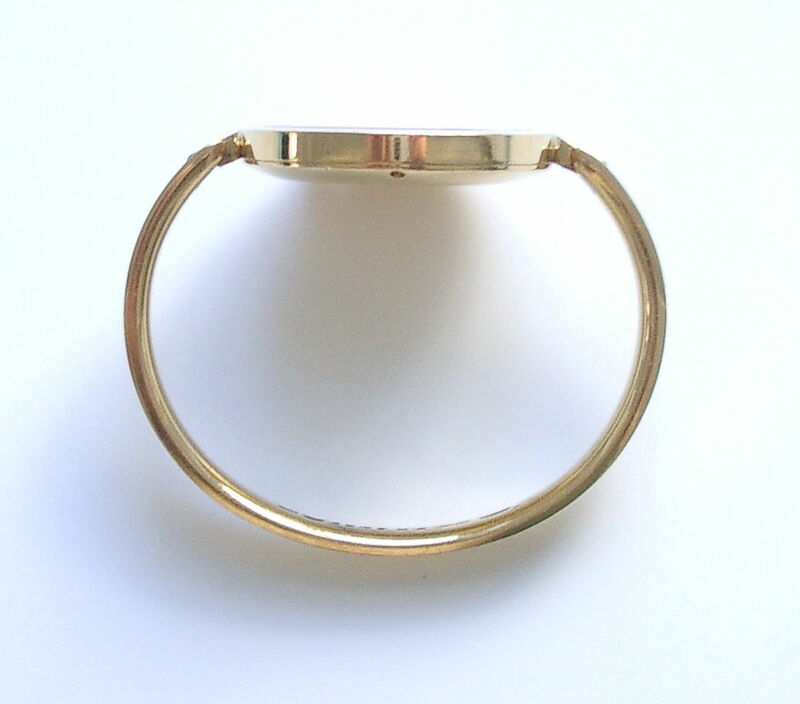 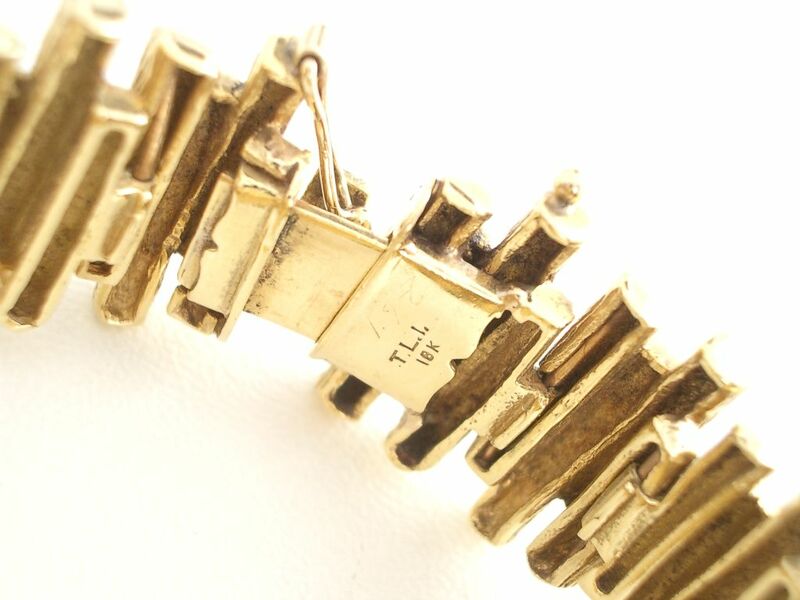 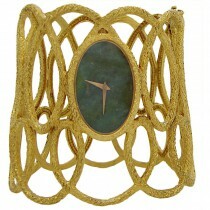 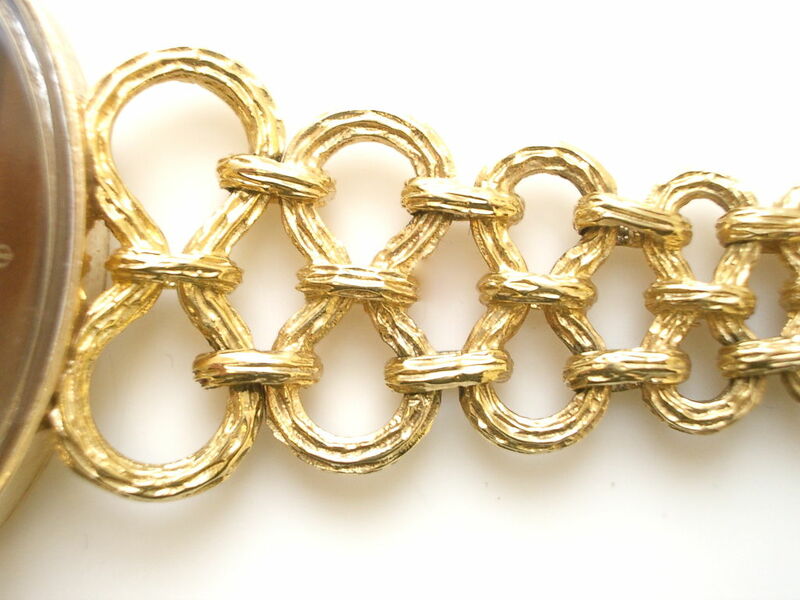 A sleek 18k Yellow gold bracelet watch by Vivianna Torun Bulow-Hube (1927-2004) for Georg Jensen. 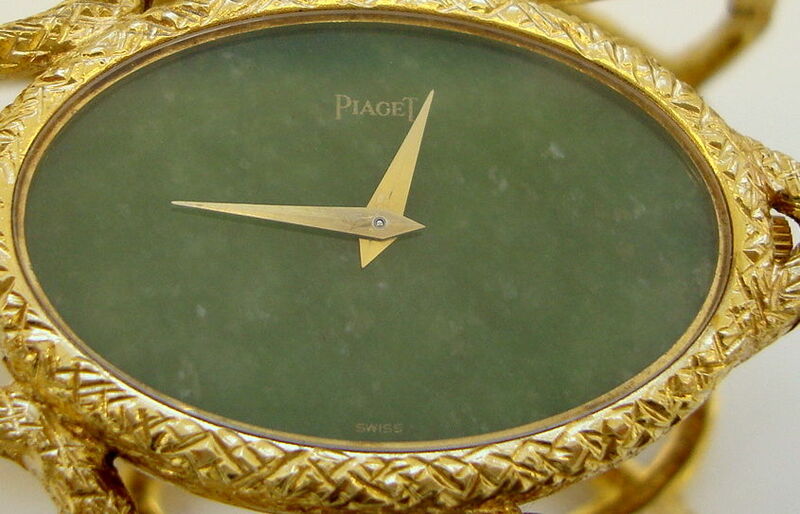 An Impressive 18k yellow gold and Nephrite “Slave” watch by Piaget.